Below: Inside front cover and introduction. At this time the company associated with Kotex was the International Cellucotton Products Company, part of Kimberly-Clark. 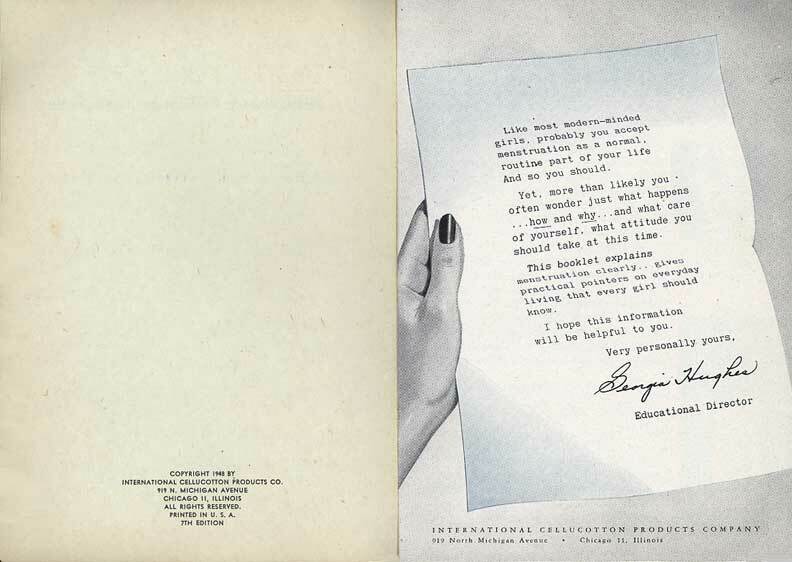 read the whole booklet As One Girl to Another (Kotex, 1940). Whole list of such booklets.